What’s the answer for you? being used more often in discussions I have with fellow HR professionals. The good news is that the world is making it easier than ever to be uncomfortable whether through words, actions, or feelings. One of my colleagues is fond of saying there is a “new normal” but I counter that definitions of normal has always been new and dependent on one’s point of view and “normal” will always evolve into something “new” and that change is truly the one constant. The problem with that continuous change is the lack of being comfortable for many people about the pace and type of change. One need only look to the recent election to get confirmation of that. In our work places we are subject to the same elements. There are many who do not want nor are willing to change and that any change to the normal they experience is automatically bad. What is happening to adaptability and the desire to grow, learn, and improve? In my own work, we are in the midst of numerous changes. As we continue toward our expected end point, I find myself managing not the process of the change but much of the emotion and fear around such change. Whether it is a new HR/Payroll system, the new mandated educator evaluation system, or an emphasis on service, the actual process of the change is much less difficult than the emotional reaction we are seeing. This suggests strongly that we still have work to do to get people willing to be comfortable being uncomfortable. Is change hard? Yes. Is it necessary? Yes. As we start Thanksgiving week and stare into the abyss that is the end of the year, it’s a great to reflect on changes that occurred since this time last year. No matter how difficult they may have been, you made it through (or you wouldn’t be reading this!) and odds are that the change hasn’t been either as hard or as bad as you thought it would be. Who knows, perhaps it’s even made a positive impact you did not anticipate. Just as Orange is the New Black (in some unfortunate ways too) uncomfortable is the new comfortable. If you don’t like it, I’m sorry but you need to get used to it! 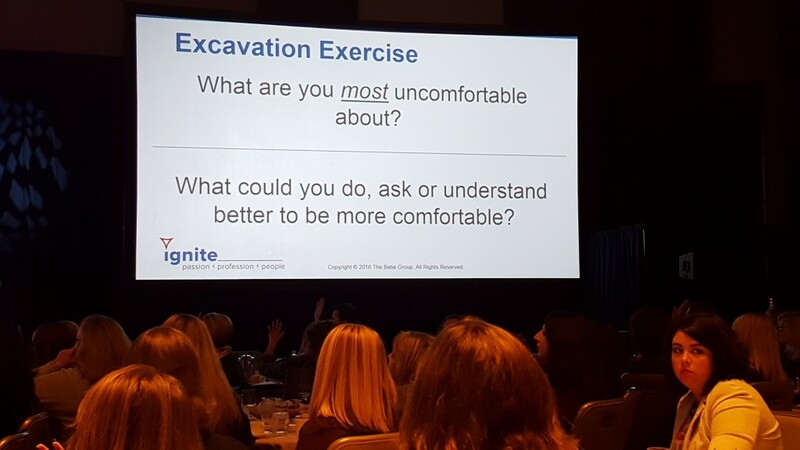 This entry was posted in HR Practices and tagged #SHRMVLS, Be Prepared, change, growth, Leadership, new normal, questions, reflection, SHRM17, SHRMLead, Uncomfortable. Bookmark the permalink.